Stainless Steel 440 Sheets, 440 Stainless Steel Sheet, Astm A240 type 440, SS 440 SHeet, ASTM A240 Stainless Steel Sheet, AISI 430 440 Stainless Steel Sheet, Manufacturer, Exporter, Suppliers, Mumbai, India. 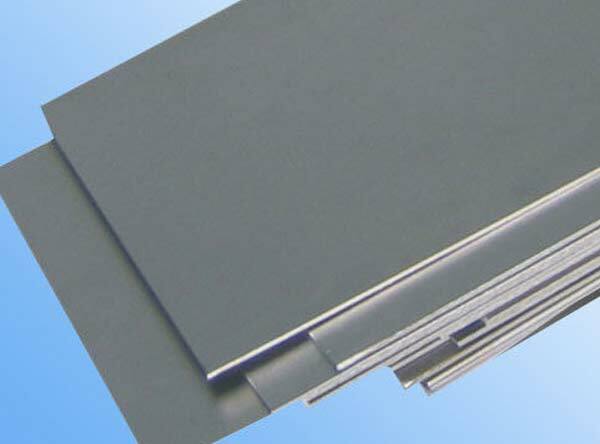 Alloy 440 Sheet is a molybdenum-bearing austenitic stainless steel with greatly increased resistance to chemical attack as compared to the conventional chromium-nickel austenitic stainless steels such as Alloy 304. In addition, Alloy 440 offers higher creep, stress-to-rupture, and tensile strength at elevated temperatures than conventional stainless steels. It is a low carbon or "L" grade which provides resistance to sensitization during welding and other thermal processes. Good oxidation resistance in intermittent service to 900 °C and in continuous service to 925 °C. These grades perform well in the 425-900 °C range, and particularly where subsequent aqueous corrosive conditions are present. 430 Sheet has higher hot strength, and is particularly suitable for high temperature structural applications. Stainless Steel 440 sheets and plates, also commonly known as Cold Rolled products, are available in the following finishes: 2B, No.4 with PVC and BA with PVC and all decorative and designer stainless steel sheets are available at Calico Metal on request. Stainless Steel Sheets Standard lengths (in mm) are: 2000, 2500, 3000 and 6000. Standard widths (in mm) are 1000, 1250 and 1500. All material is produced to the following international specifications: tolerance to ASTM A480m, chemical to ASTM A240 91A, mechanical to ASTM A240 91 and Calico Metal provides stainless steel plates with Mill test Certificate or Third party inspection certified material only. Alloy 440 Sheet is a titanium stabilized austenitic stainless steel with good general corrosion resistance. It has excellent resistance to intergranular corrosion after exposure to temperatures in the chromium carbide precipitation range of 800 – 1500°F (427 – 816°C). The alloy resists oxidation to 1500°F (816°C) and has higher creep and stress rupture properties than alloys 304 and 304L. It also possesses good low temperature toughness. Alloy 347H is the higher carbon (0.04 – 0.10) version of the alloy. It was developed for enhanced creep resistance and for higher strength at temperatures above 1000oF (537°C). In most instances, the carbon content of the plate enables dual certification. Alloy 440 cannot be hardened by heat treatment, only by cold working. It can be easily welded and processed by standard shop fabrication practices.